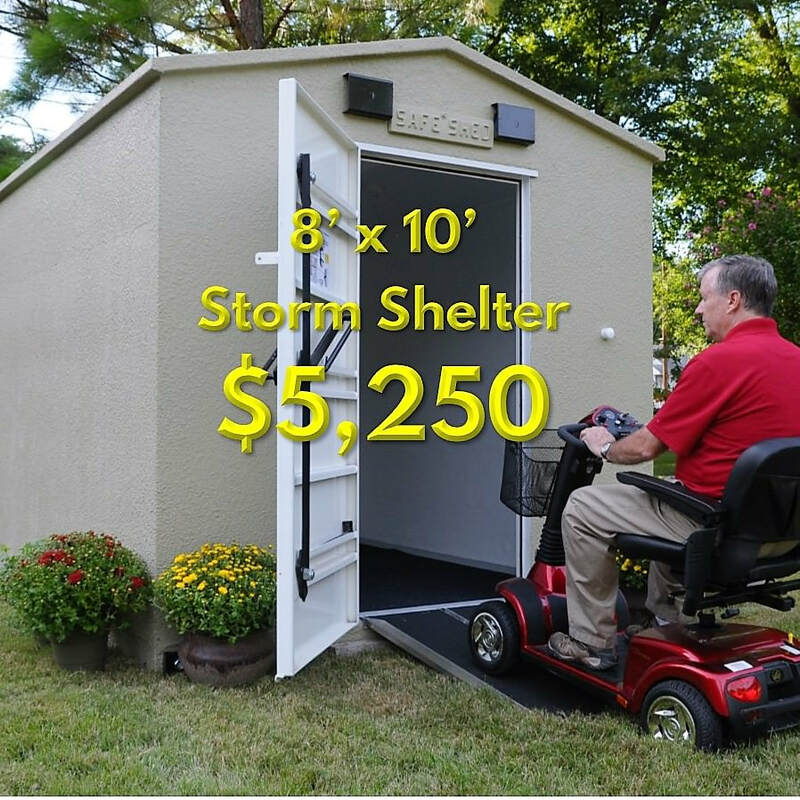 Tornado Shelter Prices - Safe Sheds, Inc.
Tornado Shelter Prices You Can Afford! Over 6' 4" headroom for your family's comfort. We Promise You'll Be Impressed With Our Product & Service! 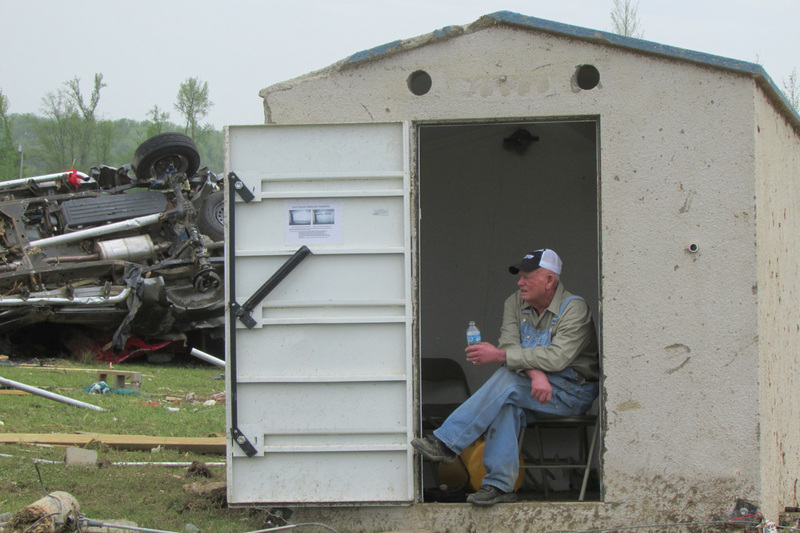 We've been building our steel-reinforced concrete above ground tornado shelters since 2002. 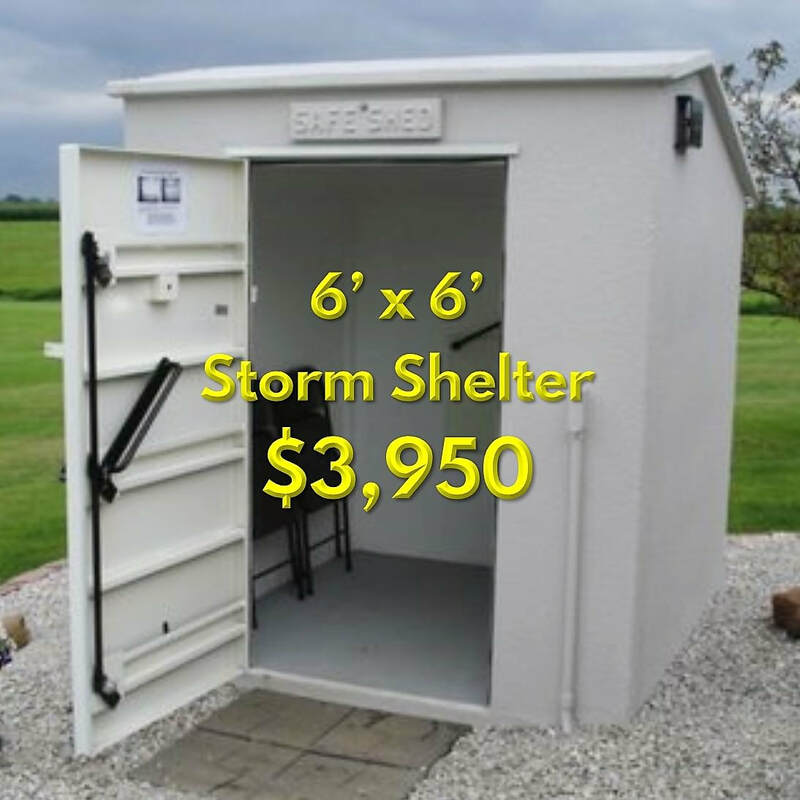 Safe Sheds tornado shelters have been tested to make sure they meet or exceed FEMA 320/361 engineering standards. And, it's been tested by the toughest judge of all...Mother Nature! "Our Safe Shed was delivered today. The driver, Lee, is a great guy who represented Safe Sheds with great skill and customer support. The shed's quality and finish inside and out is great. The function of the door is outstanding. It's a comfort to my wife and I, knowing our Safe Shed will be here whenever we may need it."